For those in the Northern Hemisphere, Spring is Here! Hooray! Its the perfect time to give your plants their very own ‘spring clean’ and prep them for a great season of growth. Generally any changes that need to be made to plants (repotting, pruning, mulching etc) should happen in Spring when plants are at their healthiest. This allows them to react positively to any changes and push out as much growth as possible! So how should you treat your FLF now that its Springtime? 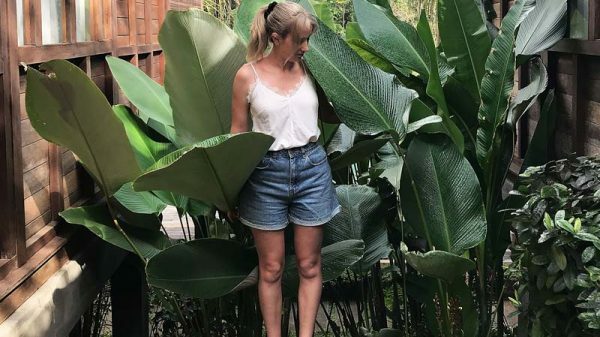 Here’s my Fiddle Leaf Fig Tips for Spring…. Most Fiddle Leaf Figs are kept as indoor plants, which is totally fine! However FLFs (and all house plants) will benefit from some time in fresh air. Air circulation is really important for plant health and growth. Once the temps hit at least 65F, (you don’t want to shock your plant if the weather is still cool), consider taking it outside for some time in the fresh air. Doing this can also help speed up growth, and fresh air assists in branching if you’re wanting to prune your FLF. If it gets below 65 at night time, remember to bring it back inside. Air flow also helps to strengthen the trunk, which is one question I get asked a LOT about FLFs! Staking them is a great temporary fix for a weak trunk. But to actually improve the trunk’s strength and thickness, fresh air is what you need! In nature, the wind naturally strengthens trunks when plants have to learn to withstand it’s force. If you can place your FLF outside where it can catch a breeze, within a couple of weeks you should notice a difference to the trunk. I’ve used this method to help one of my younger FLFs and it was standing strong within a week or two. Read a full guide on strengthening FLF trunks here. When the temperatures cool down, FLFs can become dormant – kind of like hibernation. This means you may not see any new growth during winter. But Spring and Summer are the growing seasons! Its the perfect time to give your FLF a growth boost with a quality formulated fertilizer. You can read more in-depth info about choosing and using fertilizer for FLFs here. Basically they are like a multivitamin which allows them to maximise their growth, strength and root system. I saw the most growth with my FLF when I started using a great fertilizer. Consider using a monthly dose or add a diluted amount to your weekly watering. If you are planning on doing any pruning, notching or are repotting – make sure you use a fertilizer to get the best results. With new growth comes a pot upgrade! While FLFs generally like to feel snug in their pots, if roots are showing out the bottom, it likely needs repotting. Late spring is the best time to repot around the longest days of the year. Remember to choose the correct soil and remove as much old dirt as possible. While FLFs are generally recommended to be kept in bright but indirect light, they can really benefit from some direct morning light. In nature they even thrive in all day sun! Make sure to acclimatise your FLF so it doesn’t get sunburnt. But a couple of hours of gentle morning sunlight should do your FLF well. Late Spring is the optimum time to do any pruning on your Fig for a couple of reasons. Your FLF will have the most energy at this time to respond well to pruning if its getting too tall or lanky and needs to be trimmed. Also, if you’re pruning in the hopes of encouraging branching, you will have the best chance to see results. Any new growth (such as branching) requires your FLF to have the energy reserves to push out multiple branches. Late Spring, when the days are longest (aka more sunlight) provides your plant with the best possible chance to see the new growth. What are your plans for your Fiddle this season? I hope these Fiddle Leaf Fig tips for Spring were helpful! If you are in need of any more info, check out my Fiddle Leaf Fig page for advice on pruning, notching, pests and more. I have tried to “notch” many FLF’s. No successful branching. Is there a trick to this technique? Hey Kevin, I have heard of a couple of different techniques people use. One is to make a cut around a third wide and deep to the trunk, on an angle using sharp cutters. The other is to make a cut like this, then make another around 1-2mm directly above this cut and actually remove a small ‘wedge’ or trunk. 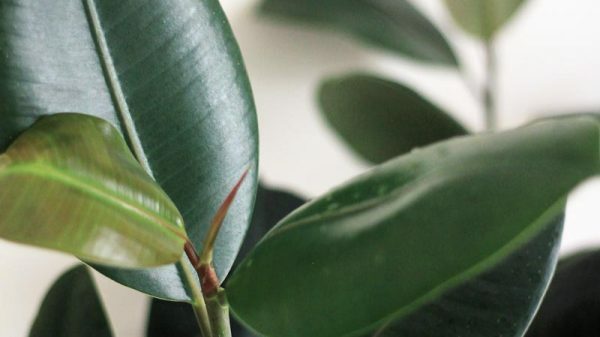 In both methods, you’ll want to try choosing a spot above a dormant bud or node, use sharp cutters, work on an angle and make sure your FLF ‘bleeds’ white sap. If you choose the first option of a simple cut and there’s no change within a week, you can go over the notch again. Notching can be tricky as you are wanting to cut enough of the trunk to disturb the nutrient flow, without risking weakening or breaking the trunk altogether. For success your FLF will also need to have enough energy reserves to push out this new growth, which is why its best to notch late-Spring and make sure the plant is healthy and is getting enough nutrients with fertilizer. A FLF that isn’t growing or is struggling won’t have the energy to respond to notching. Pruning is definitely an easier way to get branches, but if you are wanting to leave growth on and get a branch in a specific spot, notching is the way to go. All the best!